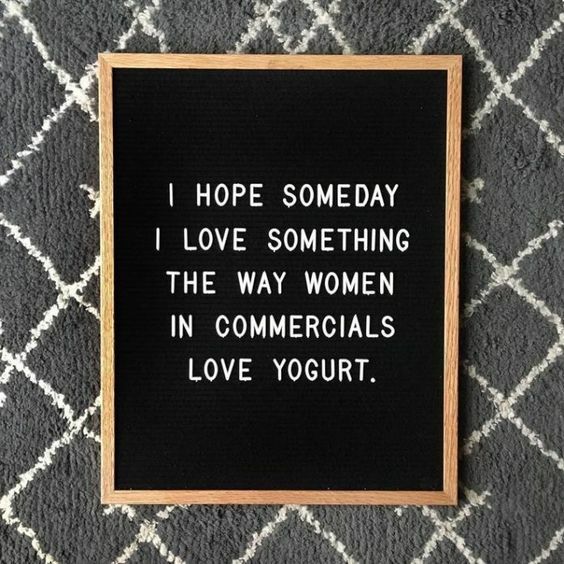 Last fall, I dedicated an entire blog post to felt board quotes I had found on Pinterest and you beautiful human beings loved it. 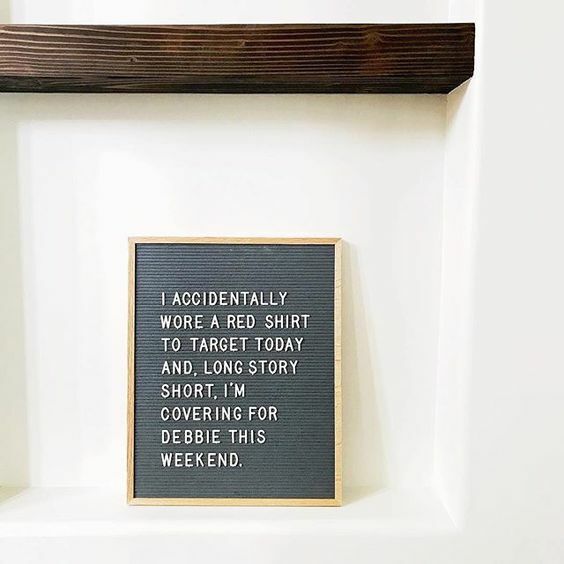 But I never really talked about why you need to get a felt board. 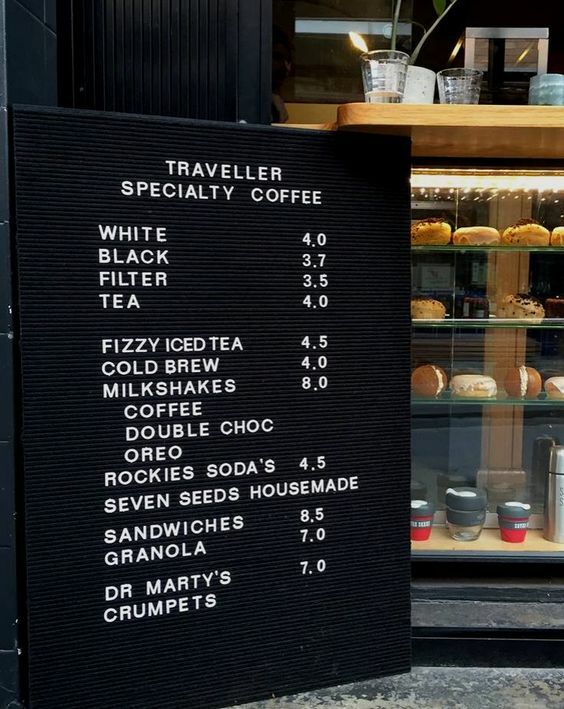 For those who aren’t aware, a felt board is what a menu board used to be back in the day. Restaurants used felt boards (some still do) to list specials of the day, their menu, or even their store hours. Then over the past several years, it has become a trend in home decor. 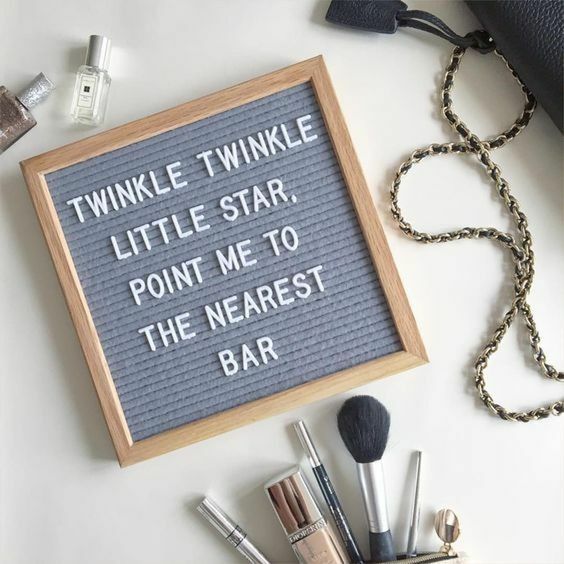 Writing whimsical, humorous, or deep quotes on them as part of the home’s aesthetic. Honestly, it’s kind of a fun trend that I hope doesn’t go away. In fact, I have two boards on the lower level of my home that my kids and I love to change out here and there. 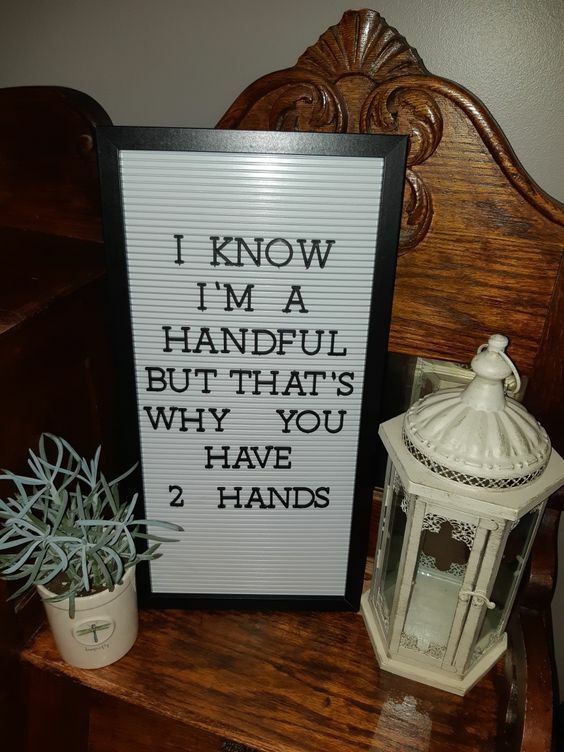 We love to change them out with the season, with each birthday, or if we are feeling a certain kind of way, we like to make passive aggressive comments etc.. Try it! It’s lots of fun! 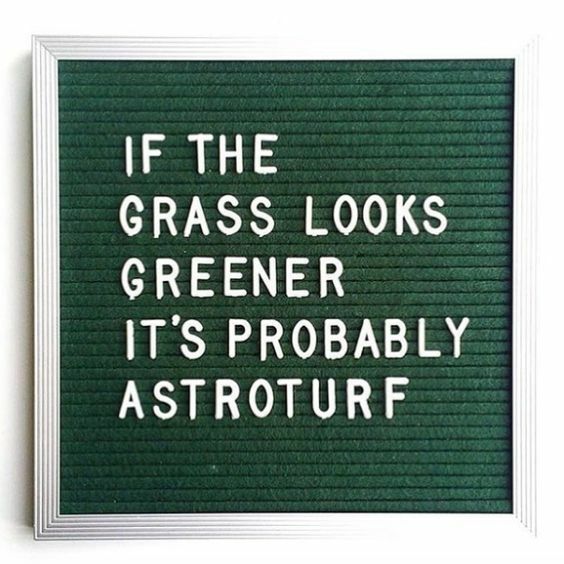 In short, it’s pretty cool to have decor on your walls that you can be creative with and I have found lots of witty and/or funny quotes thanks to Pinterest. I miss those days, for the record. Side story- I wore a red sweatshirt from Anna’s college to a local Culver’s restaurant a few weeks ago and was unaware that a local high school was hosting a fundraiser there. Wanna guess their school color? The whole time we were eating, people were looking at me to try and recognize me and couldn’t seem to place me. I just smiled and waved. So now I am running their April fundraiser. There’s a name for it, apparently. Courtesy of Kim Griffiths Instagram, allegedly. I am kind of skeptical. Of course, I am even more skeptical than ever. Especially since Aunt Becky got arrested for college admission fraud. 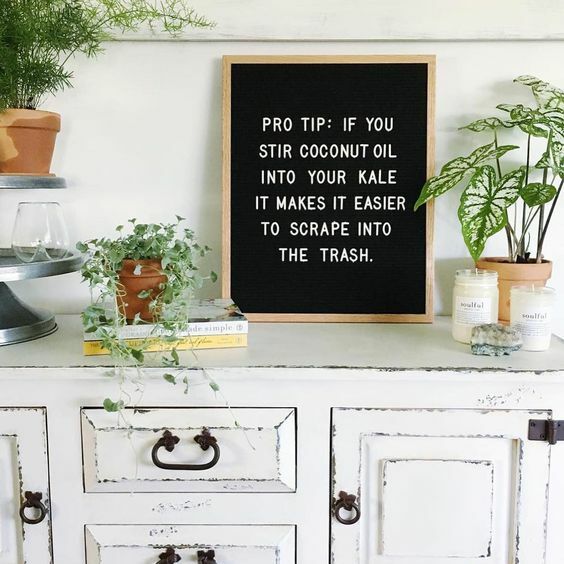 You totally need a letter board, stat. 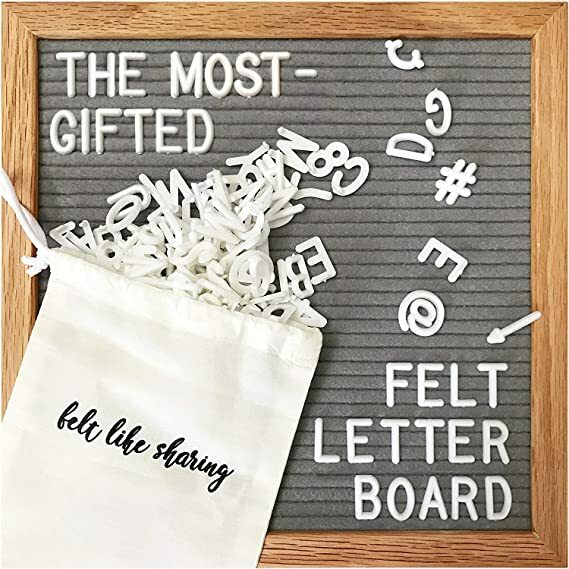 I want a gray letter board and this one has a bag for the letters too. Adding this to my birthday gift list! 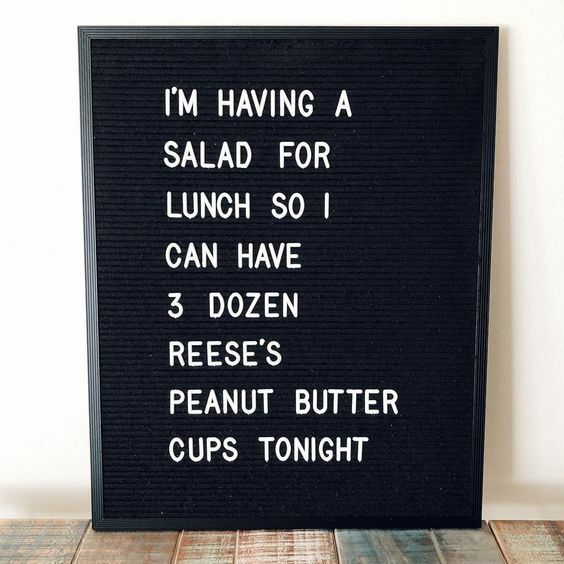 This letter board reminds me of the actual menu boards; a lot longer than what I have. More room for writing horrible things! Gray background? Check! 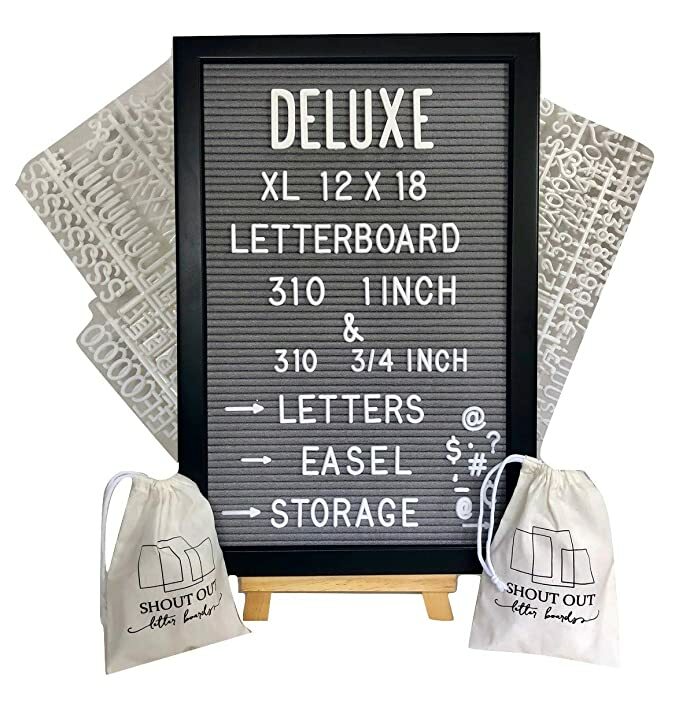 Long letterboard? Check! Easel? Check! I want this one instead. 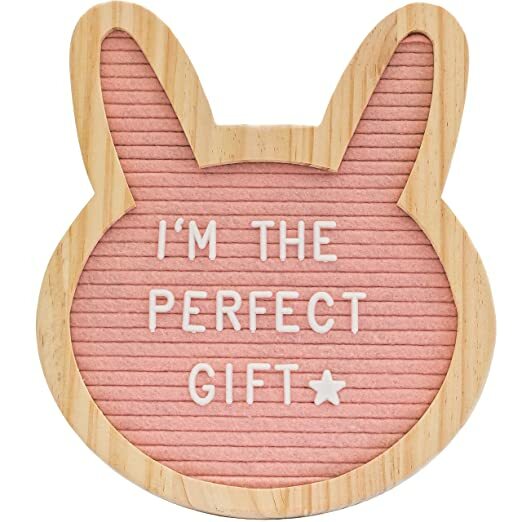 This bunny-shaped board would be kind of perfect for an Easter gift or a baby nursery. This post contains a few Amazon Affiliate links. Head to the Disclosure tab at the top of the blog to read all about my working relationship with Amazon. My sister-in-law has a board in her bathroom about “sh*t about to go down”. I’ll admit, I’m a sucker for felt boards too. And OMG the deep like! 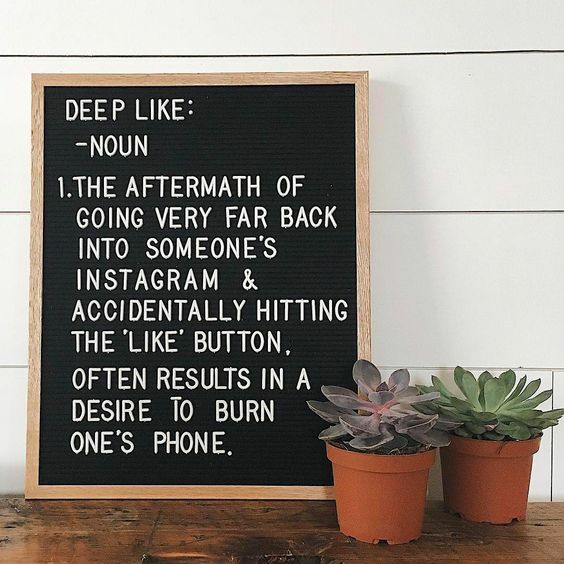 I did not know there was a name for it, but I am certainly guilty of it. I’m glad I’m not the only one who goes back to the beginning of Instagram-time, when I find a new Insta-love. I love that the family writes different messages on the board, that sounds like so much fun. Kind of like magnetic poetry. My kids are still too young to come up with their own messages, but I’m sure they would love seeing new ones every now and again. I’m going to get one of these and start a new tradition! I think I am in love with your sister-in-law. Magnetic poetry!! Remember those?? I always wanted one for my fridge and never did. 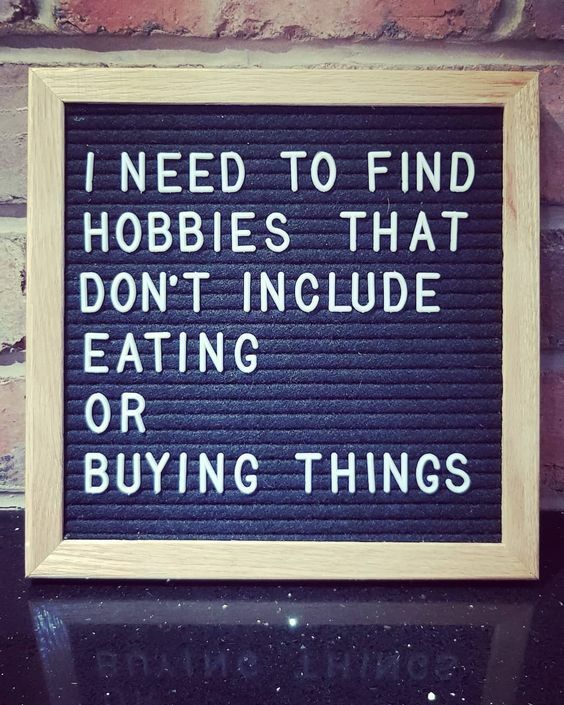 Maybe that’s why I am addicted to these felt boards so much. You know how much I love felt boards too! I have 2! Some of these are too funny. I don’t have one in my house (nowhere to put one), so I’ll just live vicariously through you and enjoy reading yours. 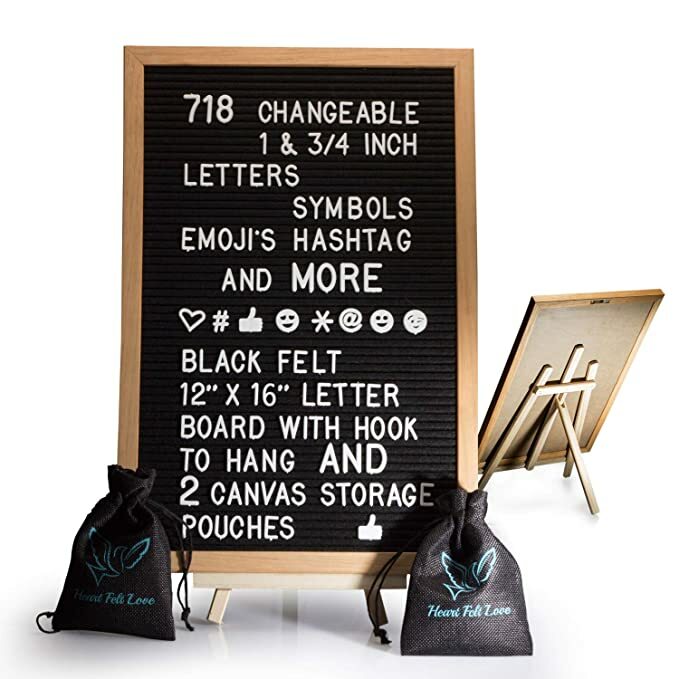 I’m not happy about the letter board craze. It means people aren’t buying Scrabble tiles nearly as much. And I sell Scrabble tiles. 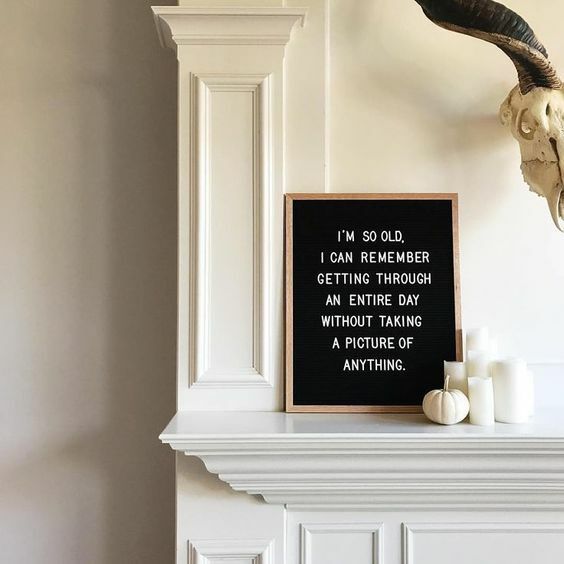 Or at least I used to until the letter board craze hit. I hope it goes the way of painted velvet pictures. Florence recently posted…And I Got All This for Only $10! I actually have fallen in love with kale! I just thought that quote was pretty funny. YOU ARE MAKING ME LAUGH, FLORENCE. No offense at all, LOL. I also loved the Scrabble tile craze, but I love letters in general. Oh, these are hilarious. Putting one of these boards in my house could be dangerous. A few years ago for Curly’s birthday she got a crown when we went to lunch at American Girl. Printed across the front: ‘it’s my special day’. Tank got a hold of it and removed enough letters/words until it simply said: ‘I’m special.’ Curly put the crown on later that night when we started to decorate the Christmas tree. All the other kids started laughing because Curly had not noticed the change in verbiage. Major tearshed. Imagine what my knuckleheads would do with a board to invent ways to insult each other? YOUR FAMILY NEEDS A BOARD.